Blair's party at Tate Modern - tonight! A party is being hosted at the Tate Modern gallery on Wednesday evening to celebrate the launch of his Bliar's memoir A Journey. The Comprehensive Spending Review (AKA as the Bonfire of the Benefits) will report in October. The timing of the report is a cynical attempt to recreate the political conditions of the 1980's. To squatters, ex squatters, sympathizers, people that are using or have used squats in the past and were inspired by them and so empathize our call. Prince Charles was in Bristol today endorsing our new 'green' shopping centre. The Problem with WT7 conspiracies. Surely the bigger picture makes the controlled demolition of WTC7 an impossibility? After the protest in Dublin last Saturday, Tony Blair has cancelled his book signing in London. The publication of his memoirs which justify the wars in Iraq and Afghanistan have outraged the millions of people across the country who oppose those wars. 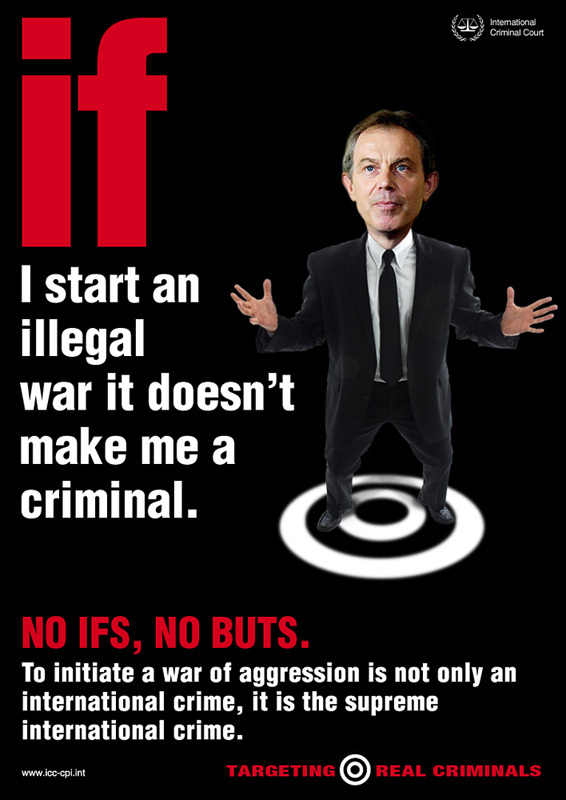 Blair knows he cannot appear in public without being confronted by protests over his war crimes and by attempts to make a citizen's arrest. info@bristolstopwar writes: After the protest in Dublin last Saturday, Tony Blair has cancelled his book signing in London. The publication of his memoirs which justify the wars in Iraq and Afghanistan have outraged the millions of people across the country who oppose those wars. Fortunately, here in Bristol, Tony Bliar is happy to meet the public and will sign books outside Waterstones in Union Street on Wednesday 8th September from 12 noon to 2pm. He realises that the wars in Iraq and Afghanistan have resulted in untold suffering – hundreds of thousands of Iraqis and Afghans have died along with hundreds of British troops. Here's how you can set Firefox to always use secure (encrypted) connections on UK Indymedia sites. Critically examine the role UNISONs labour activities in Liverpool. "The IAEA’s latest report on Iran, leaked today to a number of media outlets, has sparked a wild array of stories and speculation, though it appears to say very little. CNN’s headline “IAEA: Iran still enriching uranium” perhaps says it all, as there was no one who actually thought they had stopped." The eviction of Gypsy families at Hovefields, Essex SS12 9JA started this morning. "The Militarization of Hollywood": Unlocking "The Hurt Locker"
Why did "The Hurt Locker," a well-acted, tension-filled but otherwise undistinguished Hollywood war movie focusing on a military bomb-disposal team in Iraq, win the 2010 Academy Award for Best Picture? Every week in Britain the safety of literally thousands of greyhounds is put at risk in races held on oval tracks. West Cumbria Revolt Begins over High Level Nuke Dump. Campaign group Radiation Free Lakeland have written to all Allerdale Councillors urging them to support Councillor Joe Sandwith's proposal that they should withdraw from the dodgy process designed to force Cumbria into "geological disposal" of nuclear waste. The Lewes Road Community Garden was evicted at 2am on Tuesday September 7. Bailiffs acting on behalf of land-owners, Belfast-based Alburn Minos Ltd and partners-in-crime Tesco came in mob-handed (eight-12 plus line of police outside) without a proper eviction notice and took possession of the land and the legally squatted adjacent building. In July 2010, a European Solidarity Brigade visited the Zapatista communities and Caracoles of Chiapas and reported on the current situation there[ii]. Communique from Las Abejas, issued one year after the release of the paramilitaries. Young people’s services are being closed down across Britain as spending cuts dictated by the Conservative Party/Liberal Democrat coalition and their Labour predecessors take effect.